Today I will share with you people an interested but a little misunderstood concept about placing ads on our own blog either of Wordpress or Blogspot.Everyone wants to earn more money by displaying the AdSense ads on each and every blog and website to increase the revenue and get maximum earnings.Its easy but not that much.We will have to do some little arrangements in our blog so that when AdSense agent visit our blog to see what we are offering or writing about, our blog must be in professional look so that he would decide in his first impression that this blog is made by a professional.But if our blog is not that much professional, still we can easily get an AdSense approval on our site by a Trick or Good and Unique Content. We will do what google says.And i will show you how to do this.First lemme tell you the difference between hosted and non hosted account. 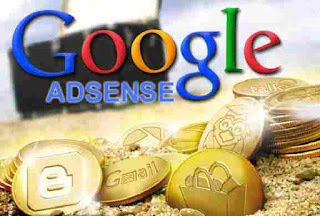 Hosted AdSense Account is basically that account which you have approved or got through a hosted partnered website like YouTube and Blogger.Getting hosted AdSense account through YouTube is quite easy but for blogger you will have to wait a little.If you are in a country like China,Pakistan and India then you will have to wait until 6 months but the more wait will bring the more fruit.The hosted AdSense approved account achieved through blogger Worth's more than an account made with YouTube.Because through YouTube, its very much easy to get Hosted AdSense Account. Non Hosted AdSense Account is that account which you get through a non partnered website or non hosted website like through custom domain.You can say that its the account which you got through right ways by creating a proper website with a top level domain and great unique content in it.Obviously this is the right way and the non hosted AdSense account is the right and professional AdSense account.But its a little difficult getting it as compared to Hosted AdSense Account. As you have already seen in this image that Google or YouTube has officially described clearly that if you want to apply YouTube Verified Hosted AdSense Account on your Blog then you will have to provide us with a top level domain which i will describe below how to do and in other words we can say AdSense needs our Hosted AdSense Account to be Upgraded to Non Hosted so I will show you how can we upgrade our account. The first and foremost requirement that AdSense has implemented to upgrade your account is having a Top Level Domain.Domain is simply the name of your website followed by an extension like .com.A top level domain means that your domain should have .com .org .net .io .co .info etc extension at its end. It would be best if you buy .com extension.Google also stated that it must have bought from a Top Level Website like Godaddy.com.But not .tk which is a free domain.I must add that many persons have got AdSense approved by simply buying a free .tk domain but they don,t know that google may temporarily approve your request but your site will always be acted like a poor in a rich city. So i suggest you to buy a top level domain for getting approval. Create at least 20+ qualitied unique posts if you want that your application would not get rejected at any chance.In all 20 posts, your content or material must be unique or in other words it must be your own content which you have written or typed.If you write something then forget that it will be marked as copied.Unique content is always unique. If you spin copied articles then there are some chances that bot could detect it but not always. It is important that when you apply for AdSense, your blog must have a good amount of traffic specially in these days. Its very easy to get traffic from Social Websites.Just find your niche relevant groups or pages on these social sites and share your posts daily one by one on all groups and communities.You will get a traffic boost within no days from these social sites. Pirated Movies - Using Pirated Movies or links to that sites which have those movies are not allowed. Cracked Applications - The most prohibited content from AdSense. Cracked Softwares, Patches or Simply Cracks are not allowed. Free Pirated Games - Using Games Links for downloading on your site is prohibited. Pirated Songs - Songs are not that much prohibited but these are also one of the illegal ways. Pirated or Copied Wallpapers ( less danger ). OR Anything which you don't own. Although Google has mentioned in its policies that you will have to wait at least 6 months but if you have done all the above mentioned things before 6 months or in month then you can apply for AdSense without any kind fear and I assure you if you do what I said, you will definitely get your AdSense approved within no time.To apply for AdSense, you can Go to AdSense and sign up with right/correct information. You will soon get an email in your Mail for further instructions.You can also apply for AdSense directly from blogger by Going to https://www.blogger.com/blogger.g?blogID=YOUR-BLOG-ID#adsenseoverview. Believe me if you have worked hard on your blog or website and all the things on your blog or website are genuine or you can say you have write posts yourself then there is nothing to worry about AdSense approval, Organic Traffic and Real Money. Always work right and work hard and keep working and learning even after you have got success because if you don't, there is always someone who is doing and no one is ever devoid of his Hard Work.Be Positive in your Life.Let success follow you, not you to success. The thing I conclude in blogging carrier is that when you work right and work hard, you will get success and in this process, our success is to get Non- Hosted account. If you follow my guidelines, there are 90% chance that you will get Non Hosted Adsense approved which will be use able on any site which resides and remains within Google Guidelines. Thanks again for an awesome post, i think on balance google is till the best all these new methods are only good in niche scenarios. Also if you live outside the US google is your only real option. I think RevenueHits is the best alternative of Google's Adsense, if you are sharing content that you don't own.